The report said "most uses" of the three neonicotinoid pesticides, which are based on the chemical structure of nicotine and attack the nervous systems of insect pests, posed a risk to bees. 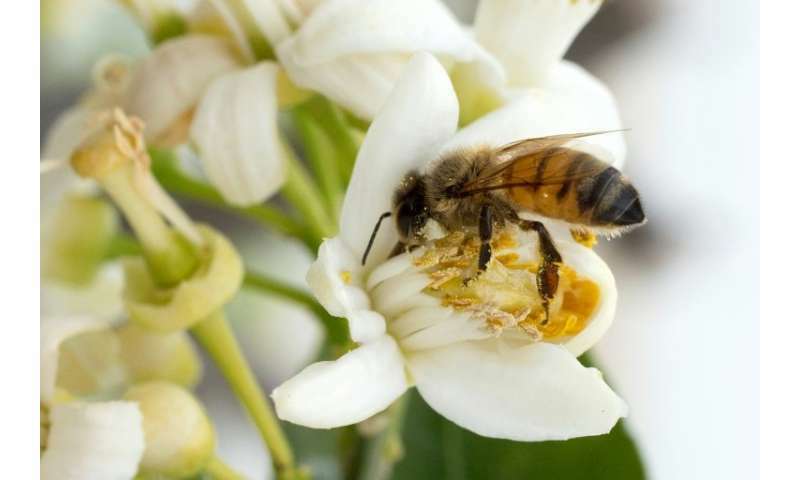 Wednesday's report by the European Food Safety Authority (EFSA) triggered immediate calls from environmental campaigners for tighter restrictions on neonicotinoids, if not an outright ban. "Overall the risk to the three types of bees we have assessed is confirmed," Jose Tarazona, Head of EFSA's Pesticides Unit, said. The EU restricted the use of three types of neonicotinoid—clothianidin, imidacloprid and thiamethoxam—in 2013 as part of efforts to protect bees and commissioned a deeper report into their effects, gathering all available studies on the issue. Two chemical giants whose products are affected by the restrictions—Switzerland's Syngenta and Bayer of Germany—are challenging them in the EU courts. In a statement, Bayer said it "fundamentally disagrees" with EFSA's updated guidance on clothianidin and imidacloprid, which it manufactures. 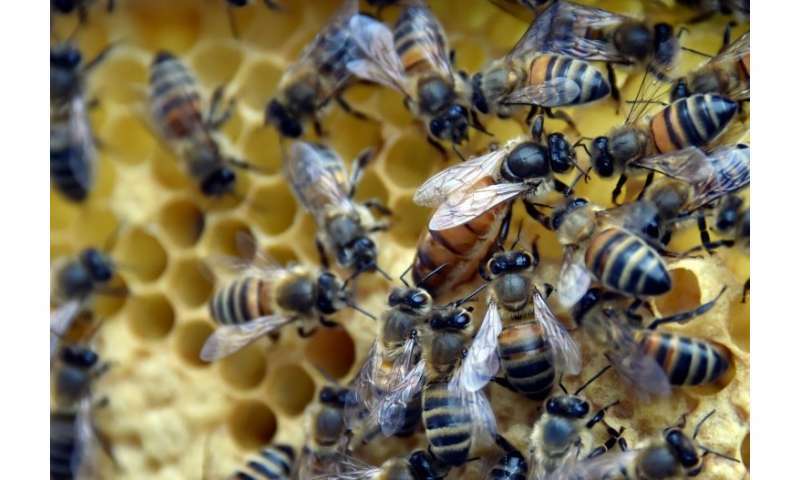 "EFSA's findings place it outside the current mainstream science on bee health, as represented by recent similar assessments" by US and Canadian agencies, the company said. The European Crop Protection Association—the trade body for pesticide producers—said that with the right measures, the risks posed by the pesticides could be managed. The European Commission, which has begun sounding out member states about tightening the restrictions on the pesticides, said Wednesday that protecting bees was a "priority". It said the new report "strengthens the scientific basis for the commission's proposal to ban outdoor use of the three neonicotinoids". Greenpeace welcomed the report, saying it showed a total ban was needed. "National governments must stop dithering and back the proposed EU neonicotinoid ban as the first step to prevent the catastrophic collapse of bee populations," the environmental campaign group's Franziska Achterberg said.